Before we get into the list I want to dwell on what makes the piano/vocal combo so unique. I think the human voice is the purest form of musical expression and is probably the first melodic “instrument” capable of imitating the sounds created by animals and nature. And I think precisely this imitation is the prehistoric foundation and inspiration to the creation of all modern melodic instruments. We ,as a species ,belong to an elite group of mammals capable of reproducing sound from memory thus forming the basis of short sounds (syllables) and therefore speech. However talking and singing are processed differently neurologically even though they don’t differ (a lot) from a physiological point of view. Talking affects the left side of the brain while singing affects the right side making it an entirely different neurological experience. Studies show that singing releases higher levels of dopamine, serotonin, oxytocin and endorphin in the brain. I believe this hormonal fluctuation can be felt both by the singer and by the people listening to the singing and that is why people get so psychologically drawn to the human voice and emotionally connected to sung melodies. So in that sense I reproduce my opening statement that the human voice is the purest form of musical expression. So what we want in a melodic instrument is the ability to make it “sing”, to come close to the feeling we get when we hear a nicely sung memory. Some instruments imitate it well like the flute and the violin but I think the piano is in a league of its own for several reasons. First of all it is a percussive instrument but plays as a melodic one as well meaning it can emulate both rhythmic and melodic sounds. Also the range of the piano, both in terms of register and dynamics, leaves most other instruments far behind. Quite a bit of technique is required to be able to manipulate a hammer hitting a string to sound a like a sung melody. But it is possible and it sounds most beautiful. Now to combine both the human voice and an artistically rich piano sound is an extraordinary blend and this is what this whole article is coming at. The following list is purely my personal preference. I like a melodic and simple approach to jazz. Nordic and swing/cool jazz are both huge influences that I have. The presence of (nordic) folklore thematic elements combined with rooted gospel chops and swing big band rhythmical and chordal variation is very appealing to me. Simple melodic lines, spiced with the occasional triplet and sixteenth-note slur, is what I am mainly drawn to. Regarding the singer – the more the solo is an extension to the singer, the more I get drawn to it. Making the list is not easy. There are many great singers and pianists that can both play piano and sing so narrowing it down to five is kind of a shame. That is why I have I have left out some honorable mentions both as pianists and singers in the end. This list concentrates on artists that are exclusively known as both a prominent singer and a pianist. 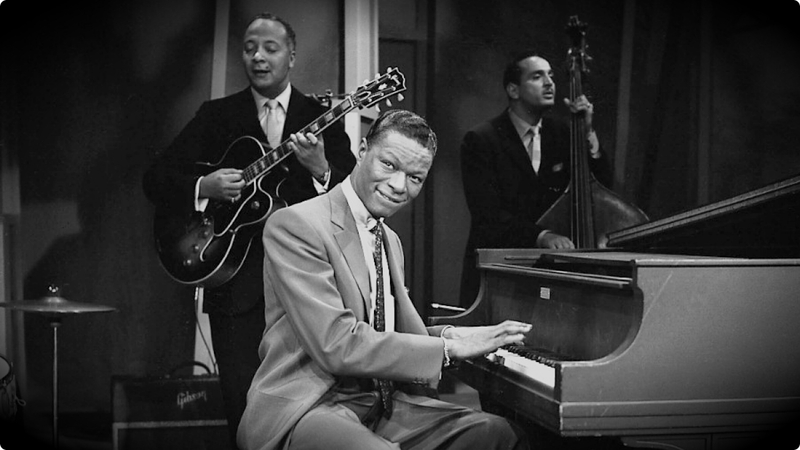 Before Nat King Cole’s silky voice graced radio and TV audiences ,turning him into a household name, he was an accomplished jazz pianist with virtuosic technique and jazz phrasing. Sometimes he did some technical chops while broadcasted on TV but his technique was way beyond what people saw. He could play bebop with ease but he is also know to be able to play melodically and lyrically both while comping and improvising. On radio and TV he sung what was at the the time popular music , the equivalent of today’s Spotify Top-50 playlist, but he was much more than that. Despite his profilent technique his lines are very grounded and musical and I feel them as an extension to his vocal range. That is why he is on this list. I am sure that he has influenced a lot of lyrical pianists such as Tommy Flanagan, Hank Jones, Oliver Jones, Red Galand and even the mighty Oscar Peterson. Brazilian born Eliane Elias has great technique both in singing and playing the piano. I like the soft voice she has especially when she sings brazilian bossa or choro music. Her lines are melodic and interesting and her comping is very approachable aurally. She just blends so naturally with the piano. I had the privilege to hear her live at a concert she played in Finland a few years ago. I have heard her playing and singing a long time ago and fell in love with it immediately. Although I said I don’t want to put any stress on the order of the list I have to admit Diana Krall is my favourite by a long stretch. Her phrasing, time and improvisational skills are so advanced but still feel simple, melodic, lyrical and swing extremely hard. That illusion of ease is what makes her stand out so much in my option. I just love her gritty vocal sound and timbre, it feels so rooted and pure to me. Her singing and playing remind me of the soundscape that is emulated by some of my favourite pianists such as Oliver Jones, Gene Harris and Hank Jones. There is no coincidence her “Live in Paris” album is voted by many institutions as one of the best (many voted it as #1) contemporary jazz albums of all time. Australia born Sarah McKenzie is so close to Diana Krall that I see her as her “little sister” in a musical sense. Same things apply to her as well. Her lines are just so damn melodic it is a pleasure to listen to. Phrasing is impeccable. There is something about simplistic things done really well with good timing. Her ensemble skills are remarkable also, giving proper space to each instruments range and players style and expression. Her comping is nice and clean and she knows exactly when and how to do beautiful fills. Her voice is also quite deep but not as gritty as Diana Krall‘s’. One on my favourites for sure! 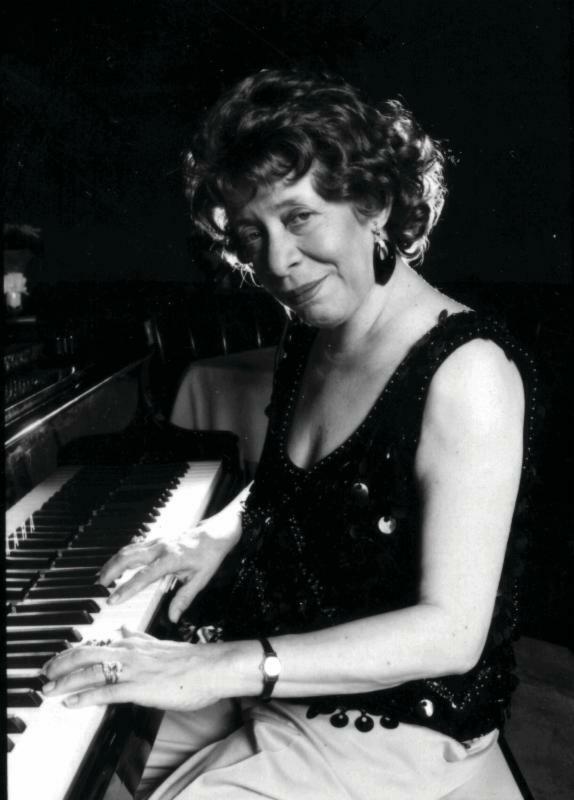 It is incredible how ahead of her time Shirley Horn was both in sense of harmony, voicings and singing style. She already had her own trio while she was only 20! Even on records decades ago she sounds remarcably modern. Her piano playing skills were so incredible it was no wonder she had a long list of people wanted to collaborate with her such as Miles Davis, Dizzy Gillespie, Toots Thielman, Ron Carter and Wynton Marsalis. But it is really unique how modern she sounds both as a singer and vocalist already during the 60’s. (Just listen to the 1960 album “Embers and Ashes”). The voicings she used and the vocal phrasing is something rarely heard during that period besides perhaps Bill Evans. Her singing is so intimate it draws me in immediately, especially during ballads. She has great storytelling skills while singing and is a great example to follow. I am sure she has influenced most modern jazz singers. She certainly influenced me a great deal even though I don’t sing. Oscar Peterson (great singer and ballad player even though known mainly for his virtuoso chops), Oliver Jones, Hank Jones, Mulgrew Miller, Barry Harris, Gene Harris, Herbie Hancock. George Gershwin, Ray Charles, Nina Simone, Harry Connick, Mary Lou Williams, Earl Hines, George Shearing, Bill Charlap, Jamie Cullum, Chet Baker (also as a pianist), Monty Alexander. So here it is – a small intersection into my musical influences. There will be more articles like this in the future that touch on jazz piano and music in general. Next Post: Should we play bebop or Neo Soul jazz?